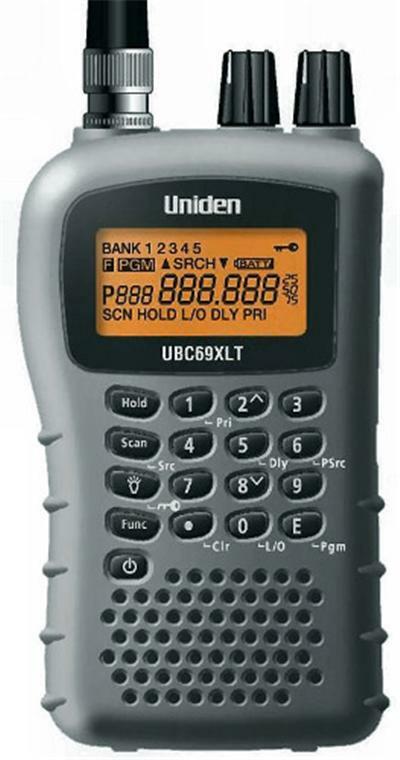 The UBC69XLT covers selected VHF and UHF frequency bands 25 - 88MHz, 137 - 174MHz and 406 - 512MHz (FM). It does not cover Airband. The scanner is easy to use with up to 80 memories available to store frequencies. There are three choices of bandplans available. It has a fast scan rate of 50 channels per second and two search rates Normal at 60 steps per second and Hyper at 180 steps per second. It also features Chain Search which allows you to search through preset frequency ranges, with three modes within this feature.